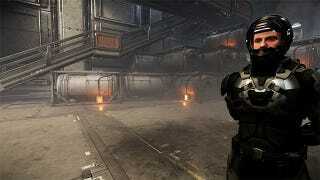 Star Citizen is a game that looks very cool and is promising a lot. Well, a little less now, after the playable debut of one of its key “modules”—a first-person shooter known as Star Marine—was delayed indefinitely. I can’t promise you we’ll meet every internal deadline or that every decision we make is something you’ll agree with. There will be challenges that we struggle to overcome, and we will never be able to predict all of these with certainty…but I can promise you we will keep you informed and that we will not stop working until the game is done right. But still, the fact an entire FPS module has been delayed—with no ETA in sight—must be a bummer to people waiting to get their hands on it.